It's summertime! The kids are out of school, and if they are anything like mine, they are constantly go-go-go. I have to have activities for them or else they get bored and begin to drive me bonkers. I have 4 kids between the ages of 0 and 6, so I've mastered the art of planning activites that all of my kids will enjoy. Here's my list of fun summer activities, I'd love to see what you would add (hey, help a momma out), so feel free to add a comment below. These can easily be created with a tarp and yard stakes, or you can buy one relatively cheap at the store. Add some pool toys to the mix for some added fun and this ends up being an easy way to keep the kids enertained for a few hours. No explaination needed. Your car gets clean (albeit with a lot of assistance) and the kids get to play in the water while helping you out. Kids love to blow bubbles in their drinks. Let's encourage that with this activity! Add 1 teaspoon tempra paint, 1 teaspoon dish soap and 1/2 cup of water to various cups. Give the kids straws and encourage them to blow bubbles. Once the bubbles reach the top of the cup, place a piece of paper over the cup. (Little kids may need more supervision with this activity so they do not drink the mixture). And collect seashells while you are there! A trip to Biloxi and back can be done in a day, but if you are wanting prettier waters and sand, Pensacola is less than 4 hours from Baton Rouge. Alternatively, there is Lake Charles and Lake Pontchartrain that has a "beach" where the kids can play and make sand castles. Take the seashells you found on your beach trip and make a picture frame. You can frame a picture from your beach trip and remember it for years to come. Unless you are blessed to have them in your own backyard, you may need to travel a bit. I've found them at Highland Road Park, so bring a bug net and a mason jar and have fun! Let them go before you head on out though. 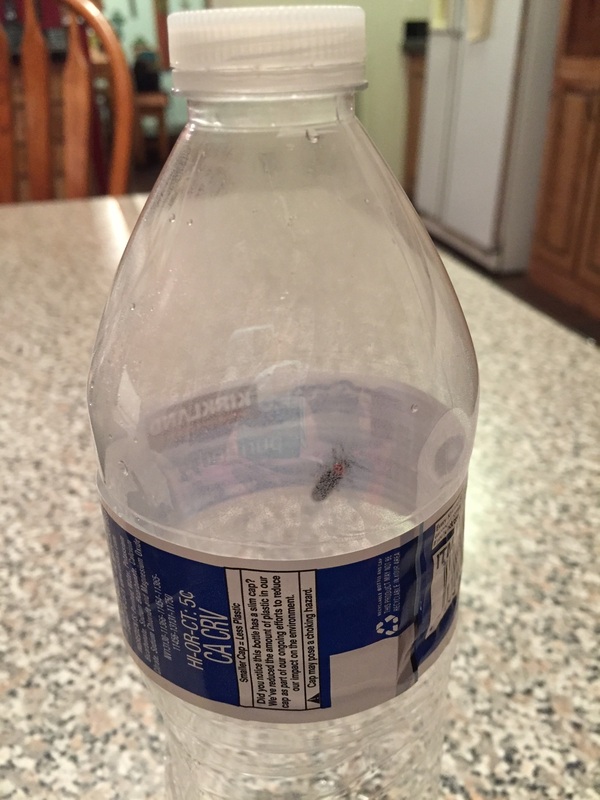 We stumbled upon some lightening bugs recently in my cousin's backyard and I was completely unprepared. The kids, however, couldn't care less if we put them in empty water bottles or mason jars. After you are done catching lightening bugs, cross the street to the Highland Road Observatory. Friday and Saturdays have the best hours, but make plans for July 23, as there is supposed to be a Saturn viewing. Strawberry season has unfortunately ended, but blueberries are still in season. Going to a berry farm is always great fun. I got this idea from Growing A Jeweled Rose a few years back and the kids loved it. Just mix vinegar, corn starch and a few drops of food dye together. Fill a sandwich bag up at least 1/3 of the way (the cheap ones work best), and add in baking soda. BOOM! Chalk bombs. Have multiple baggies on hand because the kids will love this! See? Fun for all ages! Fill spray bottles about 1/3 of the way full with baking soda and corn starch. Then add in a few drops of food dye and fill with warm water. Shake. Once the kids are tired of making art, give them a squirt bottle full of vinegar so they can watch their creations erupt! Who knew how much fun little mini trinkets could be when they are buried in ice? Fill a balloon with water and add small toys. Freeze over night. The following morning, "pop" the balloon and send the kids outside with their ice eggs and let them work on getting to their surprises. 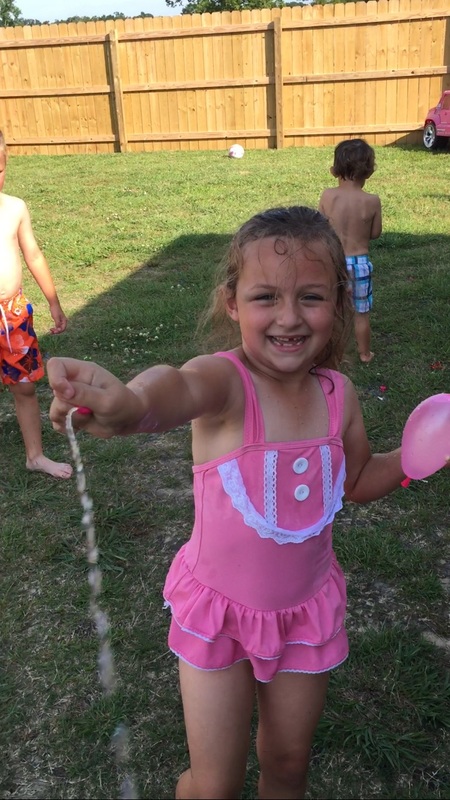 We've discovered the love for the self tying water balloons. With as many water balloons that are needed to appease the kids, it's a wonder I ever tortured myself as many times as I did tying balloons by hand. Invite some friends over and have everyone bring a pack and you're good to go! They go fast, so that brings me to #14. Have the sprinklers going and have plenty of water guns on hand. The kids will love it! Add in a slip and slide and you've got yourself some happy kids. You've also got yourself some kids that won't fight bedtime. Collect some decent sized rocks and some broken crayons (pull the wrappers off), heat the rocks up in the oven, and let the kids color the rocks. The crayon will melt against the rock and they will end up with some pretty cool designs. Make sure to instruct the kids not to touch the rocks though! Alternatively, pull out some paint and let the kids paint the rocks. No heat required. Create your own ice cream eithr at home or at a shop such as Baskin Robins or Menchie's. It's a great way to beat the summer heat! Did you know that Malco has $2 movies on Tuesdays and Wednesdays at 10am? Take the kids to go see a movie! Whether you go to a show or pop your own, kids have a blast watching the fireworks burst in the sky. As a kid, I enjoyed throwing poppers on the ground, so maybe pick up a box... or 8 for the kids. My oldest is always begging me to have a picnic with her and she couldn't care less where we had it, but why not have it at the park and let the kids wear themselves out on the playground afterwards. This is a fun and free way to cool the kids off. Our favorite splash park is the Jambalaya Park in Gonzales. The Jambalaya Park also has a pool that you can get into relatively cheap as well! You can also take your kids to the Audubon Zoo in New Orleans which has a very nice splash park and as a bonus, you get to see the animals!